Color tones for all Hot Pink Alstromeria Flowers may vary due to the computer monitor and/or Mother Nature. These are the Best Super Hot Pink Alstroemeria Flowers you could choose to make them feel special. 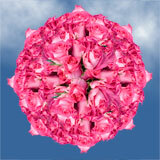 Want the Best Super Hot Pink Alstroemeria Flowers? We can have your Hot Pink Alstroemeria Flowers delivered to you freshly cut. 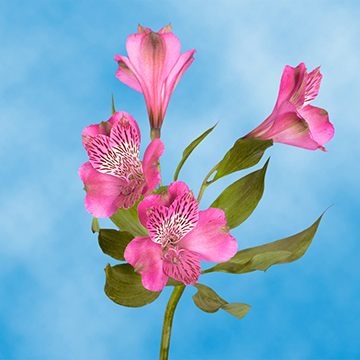 We guarantee the freshness of every one of our Hot Pink Alstroemeria Flowers. 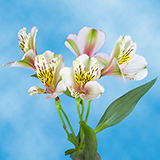 Our florists grow every Best Super Hot Pink Alstroemeria Flowers in our private greenhouses, which allows us to guarantee our quality with every order. Hot Pink Alstroemeria Flowers add the perfect pop of pink and offer a fun and flirty take to the traditional flower giving experience. 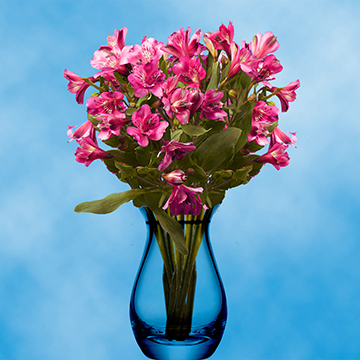 When you order Best Super Hot Pink Alstroemeria Flowers we promise you'll get a perfectly picked bouquet. 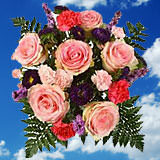 We also offer free delivery when you order Best Super Hot Pink Alstroemeria Flowers online. 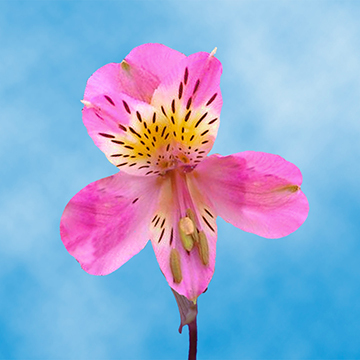 We are the premiere dealer of Best Super Hot Pink Alstroemeria Flowers. 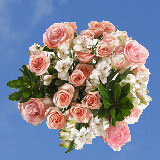 When you're looking to order flowers, we are your best choice when ordering online. Get premium quality from a company you can trust to deliver excellence every time. 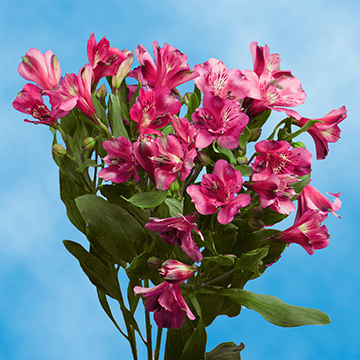 Order a fresh bunch of the Best Super Hot Pink Alstroemeria Flowers today!